The iPhone 5 isn’t even that old yet and we’re already talking about the iPhone 5S design. 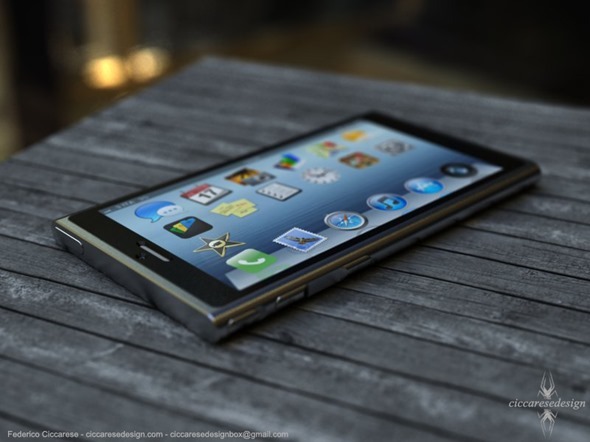 Well one designer has taken it one step further and envisioned what the iPhone 6 will look like, and it is incredible. The iPhone 6 concept features a very thin case minimalistic design, and the tall screen we are familiar with on the iPhone 5. The bezel of the device takes a leaf out of the iPad Mini design book, being reduced to almost nothing around the edging of the screen, and just wide enough at the top to cater for the speaker and camera. You’ll also notice that there is no home button – something that has long been speculated as a move Apple may make with the iPad. The audio port also finds itself on the bottom accompanying the lightening port. 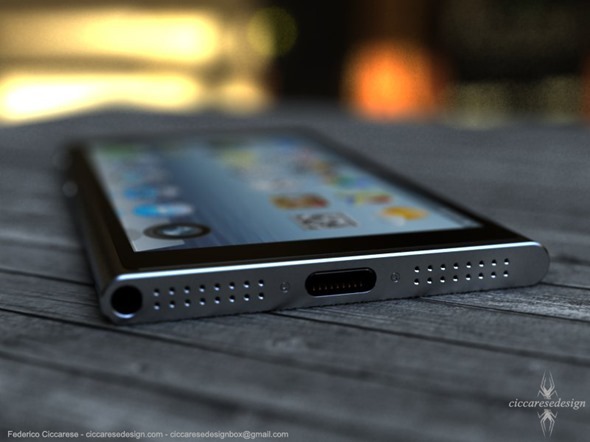 But that’s not the most noticeable feature of this iPhone 6 concept; it also features a software overhaul of iOS. In fact, it’s not even iOS, it’s a specially designed Mac OSX for the iPhone. Featuring larger icons, and an OSX inspired dock, the iPhone 6 has it’s own iTunes client and iPhoto Application fully cutting the cable from the PC, giving the iPhone 6 it’s true Post-PC era status. Apple has already begun the combination of OSX and iOS with the release of Mountain Lion. Ok, so perhaps the integration is currently the wrong way some may argue, with Apple bringing many features from iOS into OSX such as Notification Center, Springboard, and Gamecenter. Whilst Apple have implemented features since iOS 5 to cut the cord with the PC, it is still not quite there, with iPhoto still not able to be synced back to the desktop client, and no real iTunes-style music management available on the device. 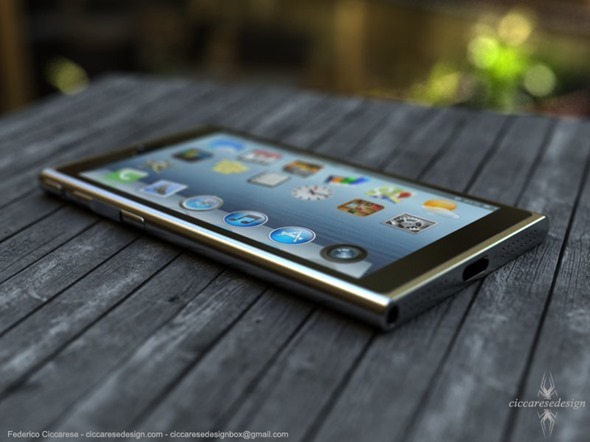 Unfortunately, rather than go in the direction this iPhone 6 concept suggests, it appears Apple will only continue to bring features from iOS into OSX to encourage a more seamless experience with the iPad, since it is the iDevices that have the greater user base. Whilst this is great for users familiar for iOS, it is not great news for those users looking for greater functionality and less reliance on PC’s in their iOS devices, and unfortunately meaning it unlikely we’ll see this beautiful iPhone 6 concept ever in real-life.